Truck Modification, Custom Can-Am Designs and Installation, Fleet and Vocational Vehicles | Can-Am Custom Trucks, Inc. Ongoing customer service and satisfaction are the core values of our business. Can-Am Custom Trucks modifies heavy and medium duty trucks to meet customer's specification and needs. 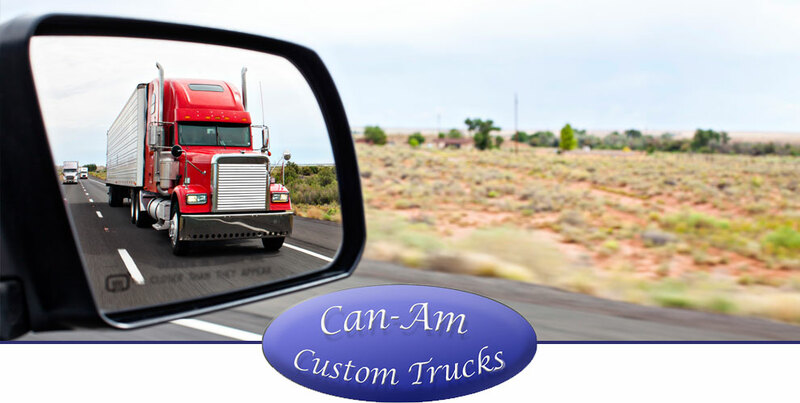 Can-Am Custom Trucks, Inc. provides innovative solutions and services for truck fleet and commercial vehicle modifications. Can-Am's team's broad knowledge and expertise, along with the ability to analyze special vehicle requirements, translate needs into "Engineered Solutions". Our Commitment to Excellence shows. We provide a "one on one" relationship with all of our customers to identify each step in the successful completion of our services. From Fleet Services to owner operator, our custom truck services and products provide the answers you need to put your ideas into motion quickly and precisely. Our proven design, engineering, and expertise of modifications and services covers all industries. Our company is the preferred supply source for OEMs, fleets, as well as end users. Have specialized custom truck needs? Give us a call today for more info!